Over half of the world’s adult population suffer from a headache disorder. If you’re ready to find relief from a pounding head, contact Dr. Neil Jaddou office at Somerset Family Medicine SFM. He can help determine the underlying cause of your headaches and provide effective treatments from medication to behavioral modification. If you’re looking for a primary care provider in Troy or Sterling Heights, Michigan, to help you control your headaches, call the number or click the button below to make your first appointment. The underlying cause of headaches varies based on the type of headache you encounter, whether it’s a primary or a secondary headache. A primary headache, such as cluster or tension headaches, isn’t caused by an underlying medical condition. Usually, chemical activity or overactive pain-sensing nerves or muscles play a role in headaches. Secondary headaches are a symptom of a disease. You could get a secondary headache from a sinus infection, concussion, dehydration, high blood pressure, and a number of other conditions. Headaches can also result as a side effect of medication or dietary, mechanical, and emotional triggers. If you’re concerned about the cause of your headaches, you should see Dr. Jaddou for an evaluation. When should I see a doctor about a headache? You should seek emergency medical attention if you experience a sudden, severe headache along with symptoms like confusion, fever, paralysis, or trouble speaking. These headaches could indicate stroke, meningitis, or another serious condition. What’s the treatment for a headache? 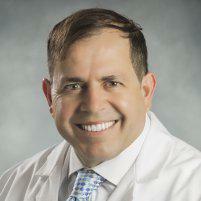 Dr. Jaddou designs a personalized treatment plan based on the information he gathers from his diagnostic process. If your headaches are caused by an underlying health condition, he helps you manage your condition to get your head pain under control. Otherwise, he may explore other medical treatments and would refer you to a neurologist. Most occasional headaches can be managed with over-the-counter pain relievers. Prescription pain relievers and antidepressants may help keep certain headaches to a minimum. Dr. Jaddou helps determine if you have any dietary, postural, or activity headache triggers and recommends effective behavioral modifications from there. Cognitive behavioral therapy and biofeedback may also help you manage your headaches and triggers. Many adults and children find relief for headaches from acupuncture, massage, and physical therapy. These manual therapies address some of the mechanical and neurological factors behind headaches. 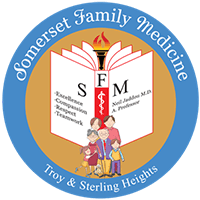 If you’d like to find relief from your headaches, contact Somerset Family Medicine SFM online or over the phone for an appointment.